This day excursion is designed for those who wish to enjoy the highlights of the province of CASERTA and the archaeological site of POMPEII. 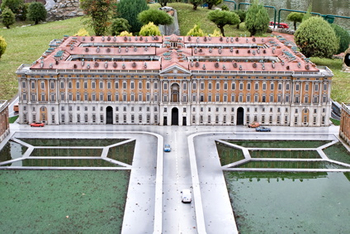 After the meet and greet at the Port of Naples you will make your way to the scenic village of Caserta, where you will visit the Royal Palace of Caserta, a UNESCO Heritage Site. Originally built to rival the splendors of Versailles, today the Royal Palace is one of the most visited monumental structures in Italy. You may stay in Caserta for lunch, or decide to stop along the way to Pompeii. Your day will conclude with an exploration of the ruins in the ancient city of Pompeii, the archeological site, the ancient city whose ruins were preserved by the volcanic eruption that devastated it in 79AD, before you are returned to the Port of Naples. We do highly recommend a private licensed guide for Pompeii. Pompeii is partly wheelchair accessible. 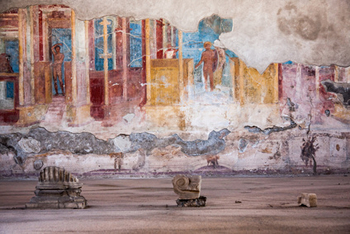 You can get the tickets to sites on the spot – Euro 11.00 per person for Pompeii. Students up to age of 18 have a free entrance, an ID is necessary then. Please note that the Royal Palace will be closed on Tuesdays! Comfortable walking shoes and suitable dress for an excursion are recommended. Doesn't include Lunch, Entrance fees, private tour guide, meals and gratuities.